The damage caused to the EU economy due to the VAT fraud reached EUR 60 million. The fraudulent schemes affected several countries, including Belgium, Bulgaria, Germany, Hungary, Italy, Portugal, Romania and Spain. An organised criminal group involved in pan-European VAT fraud and money laundering has been dismantled in a joint operation led by the Spanish National Police, together with the Spanish Tax Agency and supported by Europol and Eurojust. The investigation also saw the involvement of national authorities from Belgium, Bulgaria, Germany, Hungary, Italy, Portugal and Romania. In total, the damage caused to the EU economy due to this VAT fraud reached EUR 60 million. 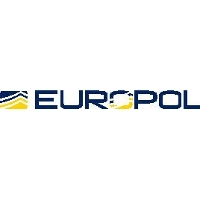 Between 18 and 20 April 58 suspects were arrested in Belgium, Germany, Portugal and Spain and 101 premises were searched in various EU countries. As a result, law enforcement seized 52 luxury cars, numerous documents, EUR 400 000 in cash, IT material and one weapon. The investigation began in 2015 when Spanish authorities were alerted to a criminal organisation specialised in VAT fraud and money laundering. The group carried out or simulated imports and purchases of electronic goods, both real and fake, which were sold online. The criminal organisation was composed mainly of Italian, Portuguese and Spanish nationals and was allegedly managed from Spain by two men; father and son – Spanish nationals of Indian roots – believed to have been operating for more than nine years across Europe. The group had a network of more than 100 companies (most of them shell companies registered under the name of frontmen) across Belgium, Bulgaria, Cyprus, Germany, Hungary, Italy, Portugal, Romania, Spain and the USA. The network also owned a production centre to create false invoices to perform VAT fraud on electronic goods and also on the import of luxury vehicles below invoice price.Investigations revealed that the group issued false invoices for a value of over EUR 250 million in three years. Investigations also revealed that the money was layered among the large network of shell companies before being funnelled to Bulgarian or Hungarian bank accounts. In particular, the organisation moved more than EUR 140 million in two years through two Hungarian shell companies. The group then used different methods to integrate its profits, such as investments in real estate and real businesses, or the purchase and sale of luxury vehicles. The final destinations of the proceeds of crime were Italy, Spain and the USA. Europol supported the investigation by providing analytical and operational support. Europol organised two operational meetings in Madrid and The Hague and attended one coordination meeting at Eurojust . On the action day on-the-spot support was provided by deploying an analyst and a specialist to Spain, equipped with a mobile office and Universal Forensic Extraction Device. This allowed real-time information exchange and cross-checks of the data gathered during the course of the actions against Europol databases. Following the operation, Jari Liukku, Head of Europol’s European Serious and Organised Crime Centre, said “MTIC Fraud remains one of the most significant transnational frauds targeting all Member States. Staggering sums of money are being taken directly from the citizens of the European Union by organised crime groups, depriving us all of essential services and infrastructure such as security, health, education or justice that should be funded by the proper collection of this revenue. By its very nature this is an international cross-border offence that requires a coordinated approach between Member States’ police services, customs administrations and tax authorities. The impressive results of Operation Dreams show us once more what can be achieved when law enforcement agencies work together with the support of Europol and Eurojust. Nevertheless, despite the various efforts made, the threat of MTIC fraud remains significant”.